Judging by the number of “Ron Paul for President” signs in the Atlanta area in 2008, Congressman Ron Paul had some of the most loyal and motivated supporters of any candidate in the 2008 presidential primaries. Sadly for Rep. Paul and his supporters, that devotion did not translate into widespread appeal. Rep. Paul finished fourth in the Georgia primary with only 2.9 percent of the vote. It wasn’t much better in other states. Paul failed to win a single primary, although he did finish second a number of times. 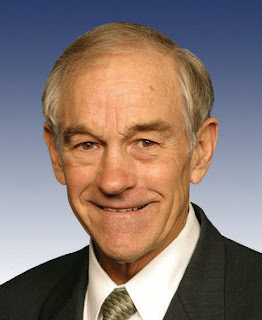 Now Ron Paul is running for president again. After four years of Barack Obama’s record-setting spending, Paul’s message of fiscal restraint may be more attractive to recession-weary Americans. Nevertheless, a RealClearPolitics average of polls from April and May 2011 shows Paul in sixth place with 7.9 percent. He trails Mitt Romney, Mike Huckabee, Donald Trump, Sarah Palin, and Newt Gingrich respectively. He leads Herman Cain, Michelle Bachmann, Tim Pawlenty, and Mitch Daniels. Paul might get a slight bump from the recent withdrawals of Huckabee, Trump, and Daniels. Ronald Ernest Paul was born in Pittsburgh on August 20, 1935. On Election Day 2012, he will be 77 years old. He is one year older than John McCain who was 72 when he ran against Barack Obama in 2008. Biography.com details Paul’s early life in Pennsylvania as the third among five boys. He grew up working on the family dairy farm. He also worked as a paper boy and at a local drugstore. In high school, he served as president of the student council and was a member of the track and wrestling teams. He met his future wife, Carol, in high school and married her as a senior. Paul attended medical school at Duke University and specialized in obstetrics and gynecology. He interned at Henry Ford Hospital in Detroit and then joined the Air Force where he was on active duty from 1963 to 1965 and in the Air National Guard from 1965 to 1968. He later opened a private practice in Texas where delivered more than 4,000 babies over the course of his career. Paul was elected to the House of Representatives from Texas for the first time in 1976 during a special election. He lost an earlier attempt in 1974. He served only a few months and lost the general election, but in 1978 was re-elected and served three terms. He ran unsuccessfully against Phil Gramm for senator in 1984 and passed his house seat to Tom DeLay. Paul returned to the house as a Republican in 1996 and has served continuously since then. He currently serves on the House Financial Services Committee and the House Foreign Affairs Committee. He is chairman of the Subcommittee on Domestic and Monetary Policy. During his long career, Paul has also authored a number of books. Paul has a strong reputation as a critic of government spending and the expansion of government power. He voted against the PATRIOT Act and the Iraq War, but did vote to authorize the Afghanistan War. He has been very critical of President Obama’s decision to go to war in Libya without congressional authorization. A deficit hawk, he returns the unused portion of his congressional office funds to be used toward paying down the deficit. In 2011, he returned $141,580, almost ten percent of his office budget, according to his press release. Ron Paul is well known for his criticism of the Federal Reserve. He is the sponsor of H.R. 459, a bill that would require an audit of the Fed. At his speeches, supporters often interrupt him with chants of “End the Fed!” He is author of a book by the same name. Paul supports a return to the gold standard to prevent the Fed’s manipulation of the currency by printing fiat money that can cause inflation. Paul also has a number of other controversial positions that often put him at odds with the Republican establishment. He supports an end to the War on Drugs and would legalize some illicit drugs. On foreign policy, Paul seems to be almost isolationist and favors eliminating foreign aid to almost all countries. In 2008, Paul endorsed the Constitution Party candidate over the Republican nominee, John McCain, and Libertarian Bob Barr. A few weeks ago, Paul made headlines when he told Fox News that the SEAL raid that killed Osama bin Laden was “absolutely not necessary.” Paul said that he would not have ordered the raid if he had been president. In spite of Paul’s intensely loyal supporters, many of his positions are too far outside the mainstream to appeal to the moderate and independent voters who decide elections. Even though Paul has an established base of support on which to draw during the campaign, it will likely be an uphill battle for him to win the Republican nomination. The odds would be even more against him if he decided to run as a third party candidate.